This is yet another reminder how deep our regional car culture truly is. “Deep” is just scratching the surface here. As with our society, the Upper Midwest is diverse and rich in our enthusiasm for the automobile. Our diversity is not on cultural grounds, though you will find GLBT car enthusiasts amongst us. You could be with a classic car owner one moment, a tuner enthusiast in another and, maybe, find yourself with a weekend autocross participant by the end of the day. How do we express our enthusiasm? Where do we go when we want to connect with other like-minded automotive people no matter what we drive or love? During the summer, we are fortunate in the Twin Cities to host some very special outlets to unleash your automotive enthusiasm. These events can be found in every corner of our region and range from a street show to something a bit more organized with an entry fee. This summer, I have been fortunate to attend plenty of these events. A quick tour of them would show you what the Twin Cities automotive community has to offer. The first “summer” event actually begins in April on the first Saturday morning of the month. 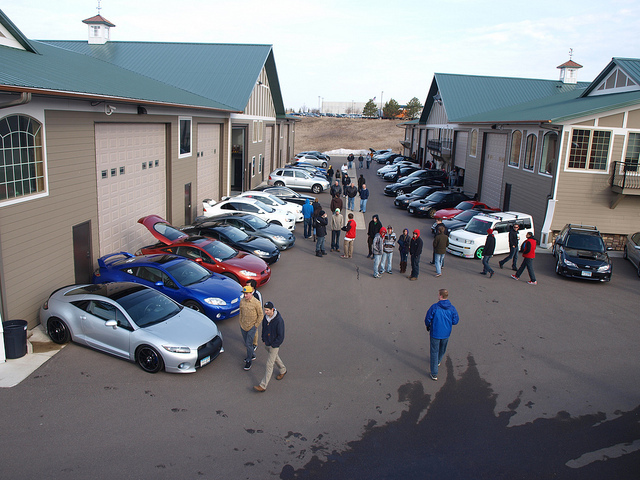 MN C&C is part of a series of “Cars & Coffee” events dotted across the country that attracts the serious enthusiast, as well as a good crowd of spectators. Held at the AutoMotoPlex in Chanhassen, the garage condo complex has vehicles grouped by national origin or brand to show off. The exotics get center stage, but you will find vehicles of every age and stripe up and down the driveways. Sometimes, a few garage condos opens up for spectators to see what is inside. Some feature some serious classics, as well as some special products they have stored inside. Yet, the big draw is the quality of vehicles on display. If you wish to participate, make sure you have a vehicle worthy of being on the grounds of the event – and it is clean for presentation. The final MN C&C is on the first Saturday of October, so there is plenty of time to get your ride onto the grounds to show. 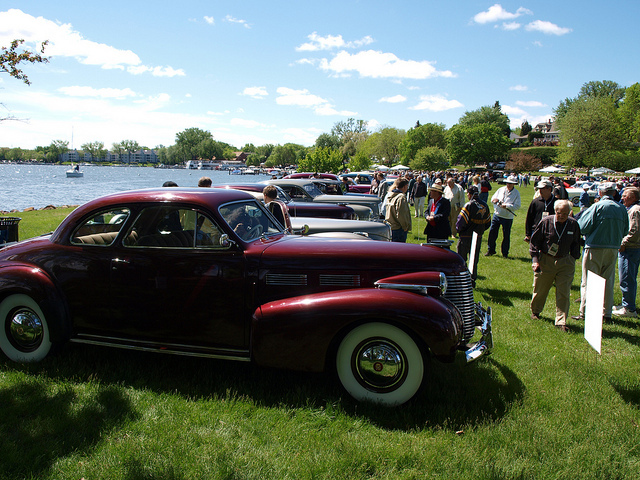 This year marked the inaugural 10,000 Lakes Concours d’Elegance in June in Excelsior. A Concours usually involves a competition, fundraising for a charity and a selection of some of the most unique vehicles ever assembled around. This event was no exception, with the added bonus of a shoreline locale with Lake Minnetonka in the background. The stars of a Concours were the 103 cars on display at the Excelsior Commons. This event had everything from the 1900s to the 1970s with many rare vehicles on display that would evoke the remotest of memories. This was capped by a lakeshore lineup of some of the finest cars made between World War I and World War II – including names forgotten from the past, such as Packard, Marmon, Auburn, Cord and Duesenberg. This first-year event proved to be a very good success that it be marked on the local automotive calendar for years to come. Normally, the biggest automotive event of the area would be scheduled on the same weekend as Twin Cities Pride. “Back to the 50’s” is a celebration of an era where the automobile became an integral part of our society. The focus is on both classic and customized vehicles from the 1950s and 1960s – mostly American iron. 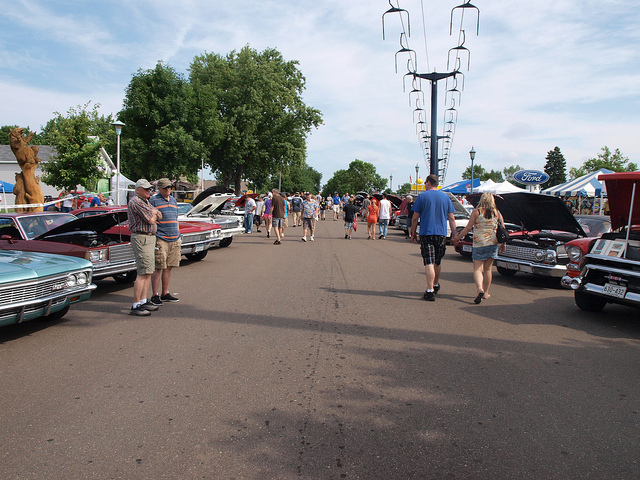 Recently, the Minnesota Street Rod Association, hosts of “Back to the 50’s,” have centered almost all of their activities at the Minnesota State Fairgrounds after seeing the closure of Porky’s on University Avenue and the construction of the light rail nearby. Though it was scheduled the weekend prior to Pride, the storms that hit the area did not entirely dampen the event’s mood. The show went on with a stunning collection of post-World War II iron, either customized or restored to its original glory. You also had a good selection of hot rods, made from 1920s and 1930s cars that were made popular in the post-World War II era. The atmosphere was geared towards those in attendance with entertainment and activities catering to the era of the events namesake. “Back to the 50’s” is an event worth attending just once – even if you are not a fan of classic cars. In mid-July, the State Fairgrounds came alive again with more custom cars. The sound of sooped-up engines only mean one thing: Car Craft Summer Nationals. This is where some of best custom performance cars made their appearance on the Minnesota State Fairgrounds. Over 5,400 participants were expected to turn up for a weekend crowd of over 32,000, making this one of the biggest events of its kind in the U.S.A. The point of the Car Craft Summer Nationals is to celebrate the idea of customized performance. Though the engine is the centerpiece, but you can also throw in all modifications inside, outside and underneath. There is definitely an American car bent to this event, but it is worth checking out to see if the same kind of modifications would be had for all other vehicles. There are many more car shows that take place throughout the summer here in the Twin Cities and beyond. They range from weekly local meets to club-driven shows. In May, the Intermarque Spring Kick-Off turned downtown Osseo into a feast of foreign cars. This confederation of foreign car clubs always entertain with a plethora of vehicles ranging from classic British roadsters to two-cylinder Citroens and some classic Japanese sports cars. By the last weekend of August, the annual Wheels of Italy meet mark the culmination of the local automotive calendar – even with other meets scheduled through October. The biggest collection of Italian cars and motorcycles go on display across from Lake Calhoun ranging from Lamborghinis, Ferraris, Maseratis all the way to current Fiat 500 and Ducati owners. Even outside of the show, you will find some really cool exotic and sports cars lining up, as well. If this is the kind of vehicle you appreciate, Wheels of Italy is worth attending. However, if you really want to see a good car show, you would probably look no further than our own Twin Cities Pride Ashley Rukes parade. 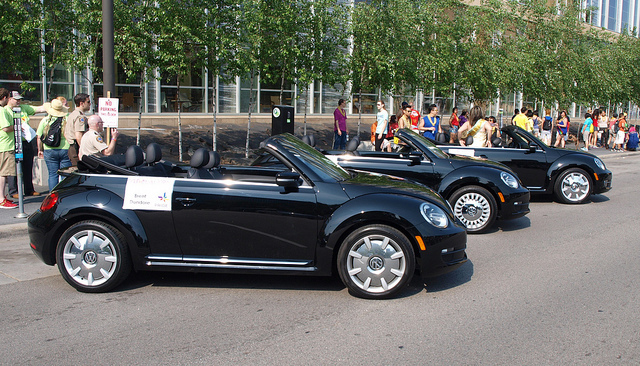 Over the years, we had seen our share of vehicles riding down Hennepin Avenue from members of the local Lambda Car Club to dealership sponsor-provided convertibles for the Grand Marshals. Even if you cheer on the riders of these vehicles, you have to appreciate what they ride in to celebrate our annual Pride event. I attended my fair share of the events – and participated in a few of them. In some cases, they never grow old. Every year, I try to mix it up and attend ones I have never been before. This year, that would account for a few of the latter. The one thing that keeps me going to car meets are the people I met along the way from them. The people you meet at these events help add context to sparking the interest of a particular brand or era of car, if not gaining more knowledge of them. The idea is to not look at the cars themselves, but to recall the stories behind each one. It means to engage with the owners of these vehicles and learn about each vehicle and why they chose it as their own. You may discover that you had a similar experience with the same vehicle, even if you or your family no longer owns it. To experience car culture is to venture out and seek out these events. It is to find serendipity and camaraderie amongst the owners of these vehicles. Perhaps it is to find something worth investing in or recalling your memory of one. Each spring-to-fall, there will be plenty of opportunities to engage with the automobile scene in this area. A few marks on the calendar now would help.